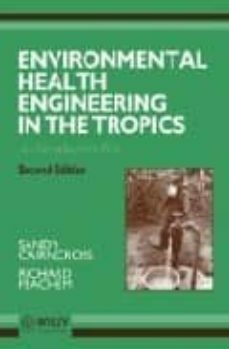 Many major infectious diseases in tropical and developing countries are amenable to control by environmental measures. This book describes these infections and the measures that may be used effectively against them. The infections described include the diarrhoeal diseases, the common gut worms, guinea worm, schistosomiasis, malaria, bancroftian filariasis and other mosquito-borne infections. The environmental interventions that receive most attention are domestic water supplies and improved excreta disposal. Appropriate technology for these interventions, and also their impact in infectious diseases, are documented in detail. The book is intended both for those from an engineering background and those whose training is in medicine or public health. The second edition has been extensively revised to incorporate the lessons learned from the International Drinking Water and Sanitation Decade (1981 – 1990). These have included technical advances, particularly regarding composting, the safe re-use of wastes, and low-cost sewerage, but the chief lessons relate to policy and the strategies for implementing water and sanitation programmes. A new chapter on surface water drainage has been added. The references have been brought up to date to cover the extensive recent literature in this field.